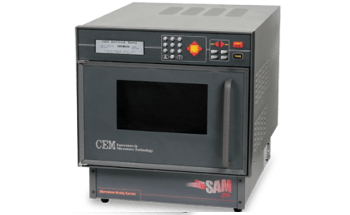 CEM’s ProFat™ is a rapid and economical fat analyzer for raw/pre-blended meat. 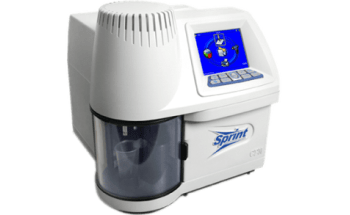 The ProFat™ is designed to rapidly determine fat, protein content, and moisture of raw and pre-blended meat. This compact system can be positioned at-line and allows for process control, using minimum cost formulation. The ProFat™ is a cost-effective solution that delivers very accurate and repeatable fat analysis. This is based on the ProFat's ability to test the whole sample, which is more accurate than near-infrared (NIR) methods that only examine a small sample area. 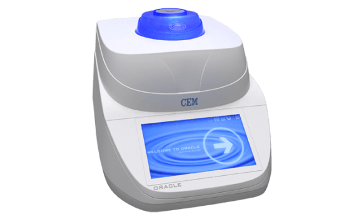 If you will be testing samples that are cooked or have water added, take a look at ORACLE. 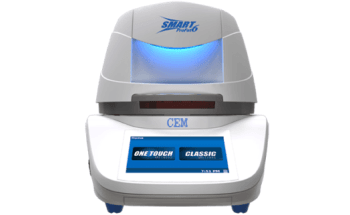 The SMART 6 ProFat integrates microwave moisture measurement with data modeling analysis to quickly assess beef, chicken, pork, and turkey meat with superior precision and accuracy. The fast analysis can be used for process control to make blend corrections, release materials, and ensure minimum cost formulation. 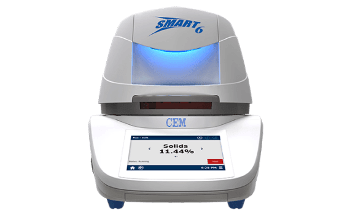 The SMART 6 ProFat can also be used to confirm and maintain the performance of X-ray or NIR devices. The system uses an official AOAC technique to quickly measure the moisture content and a simple curve fitting program to deliver the best estimate of protein and fat content. The system’s performance is comparable to the standard oven drying and fat extraction analysis techniques. 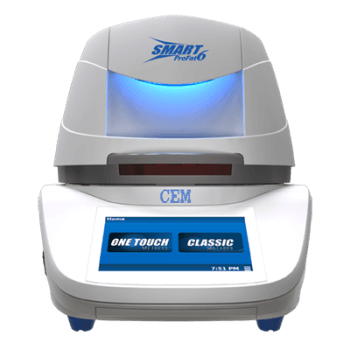 With preprogrammed methods, the SMART 6 ProFat comes ready to analyze raw meat and blends.